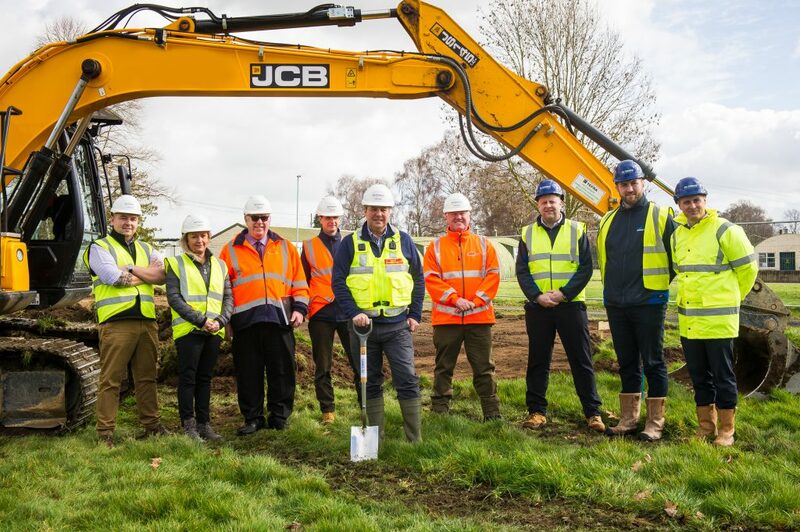 Yesterday, I attended a ground-breaking ceremony at the Nesscliff Training Camp to mark the beginning of construction for new on-site, state-of-the-art kitchen and dining facilities for troops completing pre-deployment training across the training area. Nescliff Training Camp is an important military training area within the West Midlands and surrounding counties. Units who are conducting pre-deployment training have priority access to the training camp and facilities. DIO is investing £4 million into providing military personnel with new kitchen and dining areas to improve welfare facilities for soldiers who live, work and train at the camp. The new facilities are being created to replace the existing modular kitchen which has been in place for over 16 years. It was designed as a temporary building to withstand temperatures experienced in a Mediterranean climate, however it is no longer fit for purpose for the cold and wet weather that our soldiers may experience in the UK. The new structural design helps to meet the 60-year life span that is a mandatory requirement for all new buildings. It features thermal insulation and photovoltaic roof panels which will help to reduce maintenance and energy consumption, providing cost savings for the MOD. To help meet the increasing demand of troops locating to the UK, we’re working alongside Landmarc Support Services and local building contractor Pave Aways Limited to provide this enhanced facility that is capable of feeding up to 600 military personnel and 200 personnel in the field. It’s not just kitchen and dining facilities that we’ll be providing, there’s also extra storage and welfare space and an improvement to the current disabled facilities. This all helps to enhance training experiences for military personnel. The new development will provide a positive impact to the local economy by sustaining 300 jobs. It's also providing business opportunities for local people and contractors in the area.